About: This is the autobiography of The Very Reverend Victor Gilbert Benjamin Griffin, also known as Dean Victor Griffin. He is a Church of Ireland clergyman, who after spending over 20 years ministering in Derry, was appointed Dean of St. Patrick’s Cathedral in Dublin. He held this position from 1969 to 1991 and became a well-known figure in Irish public life. 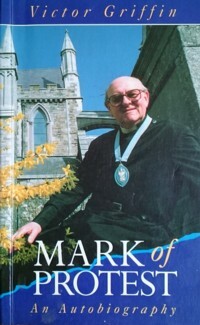 Chapters: Acknowledgements — Childhood — Farm — Living in a Minority Community — Kilkenny — Mountjoy — Trinity — Derry — Northern Divisions — Daphne — St. Patrick’s Cathedral — Appeal — Croke Park and Lansdowne Road — Visitors to St. Patrick’s – Dublin in Crisis – Inflammatory Words – Battling for Pluralism – Ecumenical Needs – The Protestant Perspective – Index. WW Connection #1: Victor Griffin was born in Carnew in South West Wicklow in 1924. Extra #3: Includes eight pages of black & white photographs. Extra #4: View the 1911 Census Return for the Griffins of Woolgreen Street, Carnew. Publisher / Place of Publication: [The Author] / [Briska, Lemybrien, Co. Waterford]. About: In the course of writing a short guide for tourists visiting Baltinglass Abbey, the local rector, Canon Claude Chavasse, found there was so much material that a local history book could be written. This he did shortly after moving to County Waterford. The book is an excellent introduction to the history of the areas that comprise the three parishes. Chapters: Preface — Before history – 1. Monuments 2. 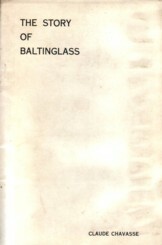 Legends – The coming of the Monks – The Abbey buildings – Life in the Abbey –Life outside the Abbey — After the Dissolution – The Stratford Ascendancy – Notes on the O’Neills of Mount Neill — Baltinglass in the 19th and 20th Centuries – [Appendices] A. Glossary — B. Abbots of Baltinglass – C. Rectors etc of Baltinglass — D. Parish Priests of Baltinglass and Ballynure – E. Curates (R.C.) of Baltinglass and Ballynure – F. Rectors of Ballynure – G. Perpetual curates and Incumbents of Rathbran – H. Patent of Sir Charles Willmott, 1618. Extra #1: Contains map, plan and ten photographs. Extra #1: Browse the Tithe Applotment Book(s) for Rathsallagh Parish. 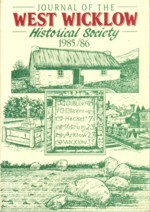 Publisher / Place of Publication: Columba Press /55A Spruce Avenue, Stillorgan Industrial Park, Blackrock, Co. Dublin. 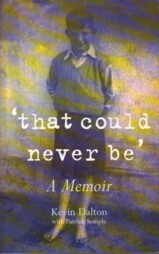 About: A memoir of the life of Kevin Dalton, who as a child spent fourteen years in orphanages. He had always wanted to be ordained as a Church of Ireland clergyman and book goes on to detail how that ambition came to be achieved. Chapters: Beginnings (1932-1941) — The Havergal (1941-1949) — Another world (Christmas 1942) — Moyaliffe (1942-1949) — Hens and eggs (1949-1951) — The Harding (1951-1954) — The Mill and The Flat (1952-1961) — Trinity (1961-1966) — The States (1966-1967) — Stillorgan (1967-1972) — Drumcondra, North Strand (1972-1979) — Monkstown (1979- ). WW Connection #1: Co-author, Patrick Semple, was one time rector of Donaghmore and Donard Parish.